The mining sector is a significant part of the Brazilian economy and accounts for a large proportion of exports. According to the Brazilian Mining Association (IBRAM), national mineral production in 2017 was US$32 billion, which represented a significant increase in relation to the previous year. The forecast for 2018 is slightly higher, at US$34 billion. IBRAM further reports that iron ore was the most exported mineral substance in 2017, representing approximately 68 per cent of overall mineral exports, followed by gold (10 per cent), copper (9 per cent) and niobium (6 per cent). Despite these significant figures, the Brazilian capital market for mining activities does not present the same level of sophistication as in other jurisdictions. Apart from a few companies that are listed on the São Paulo stock exchange (e.g., Vale, CSN, Gerdau, Magnesita and Ferbasa), most capital market transactions involving mining assets are structured in other markets through parent companies, which are usually listed on the Toronto Stock Exchange (TSX) or the Australian Securities Exchange. Junior and mid-tier exploration and mining companies tend to float in those jurisdictions where exploration and mining markets are more developed. The TMX Group reports that more than 30 companies with mining assets in Brazil are listed on the TSX or TSXV, with particular reference to Nexa Resources, part of the Votorantim Group with more than 60 years of existence and several operations in Brazil. In 2017, Votorantim made the third largest mining company initial public offering in TSX history and the largest mining initial public offering of a Latin America-focused company on the TSX. In some cases, the original shareholders are from Brazil and resort to a non-Brazilian, more traditional, market to raise capital. In addition to the lack of an investment culture in the mining business, other factors may explain the slow development of Brazilian capital markets for mining, compared with other jurisdictions. The first is the economic downturn experienced in the mining sector worldwide during the past few years, although it has now started to recover. The second reason is attributable to the political crisis that led to President Rousseff being impeached in 2016 and replaced by President Temer, whose term of office ends in 2018. At the time of writing, it was still unclear who (and which political groups) will replace him from January 2019. The third reason is the lack of culture within the Brazilian market to invest in stock exchanges in the mining industry. These factors might explain why investors much prefer to invest or float on the TSX. In the past few years, the number of public offerings in the Brazilian market has reduced significantly, although in 2017 some successful listings – such as the Nexa Resources one – show that the market is turning its eyes towards Brazil again. That example confirms that companies with mining assets in Brazil are becoming interested again in listing in traditional jurisdictions such as Toronto, and this change in market behaviour may be seen as the start of a new trend. Capital raising in Brazil in general is subject to federal corporate laws, capital markets laws and regulations issued by the Securities and Exchange Commission of Brazil. There are no specific requirements for raising capital for mining activities in Brazil. Mining companies listed on the São Paulo stock exchange will be subject to the usual requirements in terms of governance and disclosure that are applicable to other industries. There are no incentives tailored for the mining sector either. Mechanisms such as flow-through shares that may be common in other jurisdictions have no equivalent in Brazil. In terms of incentives for exploration companies, there were studies to create benefits so that the shareholders of listed exploration companies could deduct exploration-qualified expenditure for tax purposes. As the incentive implies a reduction of the taxes assessed by the Brazilian government, the studies are still under consideration by the Ministry of Industry, Foreign Trade and Services and the Brazilian Agency for Industrial Development, and the mechanism has not been put in place. As a consequence, the absence of specific rules considering the particularities of the sector, coupled with high costs in terms of governance and disclosure requirements, discourage exploration companies, juniors and companies with smaller projects or operations from listing in the Brazilian market. Foreign direct investment plays an important part in the Brazilian economy and the legislation imposes few requirements (such as the online registration of the investment within 30 days of the date the funds are converted into Brazilian currency). According to the United Nations Conference on Trade and Development, Brazil was the fourth most popular destination for foreign direct investment in 2017, in the amount of US$62.7 billion. In terms of the overall investment in Latin America, Brazil was the main destination for more than 40 per cent of investment in general. Foreign investors are not subject to any legal restrictions on acquiring stakes in Brazilian mining companies in general, although the government interprets the restrictions on non-Brazilian ownership as applying to border areas (i.e., areas within a 150km-wide strip of land parallel to national borders), as in other countries of the region. Hence, for those companies based in or that have mining assets in a border area, non-Brazilian equity interest is limited to 49 per cent, directly or indirectly. The Brazilian government also establishes that Brazilian companies that are directly or indirectly controlled by non-Brazilians are subject to certain requirements to acquire rural land, such as the prior approval of the National Institute for Colonisation and Agrarian Reform. Since access to land is of paramount importance to the mining sector, non-Brazilian investors should bear in mind this element in channelling their investment. One of the main sources of funding for mining projects is through debt transactions. The National Bank for Economic and Social Development (BNDES) has had a key role in financing major mining projects at more favourable rates. It operates in strengthening the capital structure of private companies and provides more favourable conditions for financing intended for projects that contribute to social, cultural and technological development. The BNDES teamed up with the Funding Authority for Studies and Projects (Finep) to financially support investment in projects that deal with scientific or technological development. This initiative is known as Inova Mineral and, following a first successful round of projects that were financed under this programme, the second round was launched in 2018, for which approximately US$400 million have been earmarked. The support of Finep covers all stages and dimensions of the scientific and technological development cycle: basic research, applied research and the development and improvement of products, services and processes. Mining companies that are involved in one or more of these activities may benefit from favourable conditions for funding. Brazilian commercial banks also provide finance for projects, but in many cases the internal requirements make it harder for projects at the exploration stage to be funded, particularly considering the economic downturn and political turmoil. Banks not based in Brazil may also provide funding for mining projects and usually do so through pre-export finance mechanisms that ensure more favourable taxation. Investors in the mining sector are both Brazilian nationals and non-Brazilians. The number of Brazilian investors is not as high as in other sectors of the economy, but their importance should not be downplayed. Vale accounts for a relevant part of the investment in mining, and so do other mining companies, such as Votorantim/Nexa. In addition, private equity funds are frequently seen in the market, as are pension funds and companies in general (for instance, in the past few years, steel companies have also gone into the mining business). Unlike other markets, however, retail investors are not common in the Brazilian market. Non-Brazilian investors are usually global funds, private equity funds, pension funds or mining companies that seek to reinvest and expand their portfolios, or companies that seek to secure the supply of raw materials for their industries. Given the economic downturn and the market conditions within the mining sector (which is also influenced by the political situation), alternative methods of access to funding have been developed and have become more popular. Royalty transactions are common and there are now more companies specialising in acquiring royalties. The main hurdle is the fact that Brazilian mining legislation does not provide for the registration of the royalty against title, so the royalty remains a contractual obligation that cannot be imposed on a third-party acquirer of the mining property unless the party expressly acknowledges that it is bound by the royalty. Consequently, a series of legal mechanisms and securities need to be put in place to reduce the exposure and provide more assurances to the royalty creditor. This situation may be remedied by the newly created National Mining Agency (ANM – further details below), which will replace the National Department of Mineral Production (DNPM) and will have the ability of enacting further streamlined regulations. During the past few years, there have also been a number of streaming transactions in Brazil. Streaming arrangements are contracts for the regular supply of mineral production under which, upon advance payment of a premium, the buyer agrees to purchase at a fixed discounted and predetermined price, all or part of the mineral production to be extracted by a mining company during a certain period or even throughout the life of the mine. The mining company receives payment up front, which enables it to develop, construct and operate or expand the mine. This arrangement allows the mining company to capitalise on the basis of proven but still unexplored mineral reserves at a cost usually below that of a loan. These streaming arrangements have been praised by mining companies as they have access to additional fundraising mechanisms to develop the mineral project, and have a purchaser for all or part of future production (depending on the agreement). Moreover, contrary to capital investment financing, streaming arrangements avoid debt-financing costs, particularly at times when credit access conditions are unfavourable. One major difficulty for Brazilian mining companies in raising capital is the gap between reporting requirements under Brazilian mining law and other typical reporting standards adopted by the market. Reporting requirements in Brazil still abide by legislation enacted in the late 1960s, which employs standards and terminology that is not the same as in the current market (e.g., the inadequate use of 'measured, indicated and inferred reserves'). This means that the obligations for reporting to the DNPM are much less detailed than those required by banks and investors. In some cases, Brazilian companies reach the transitional stage between exploration and mining pursuant to domestic legislation, but still need to undertake further exploration so as to produce the report that provides a resource or reserve that is in compliance with Canada's National Instrument 43-101 – Standards of Disclosure for Mineral Projects or standards set by the JORC Code.2 To bridge that gap, mining associations (i.e., the Brazilian Association of Exploration Companies, the Brazilian Agency for the Development of the Mining Industry and IBRAM) joined the Committee for Mineral Reserves International Reporting Standards (CRIRSCO). As a result, a non-binding, voluntary Brazilian Code for Resources and Reserves that follows the international standards was put together and submitted to CRIRSCO, which will also contribute to the formation of qualified persons in Brazil. In June 2018, the government enacted a new Regulation to the Brazilian Mining Code as part of a reform of the sector to encourage investment. One of the changes made has enabled the possibility of adopting international standards for reporting and abiding by best international practices, which allows room for more market-oriented reporting requirements. This will be subject to a further regulation to be enacted by the newly created ANM. In the environmental field, the accident involving the Samarco dam in November 2015 resulted in more stringent regulation on environmental issues, and more specifically on the use of dams by mining operations, as well as more severe supervision of environmental authorities and public prosecutors. For instance, new regulations on tailings dams have already been issued by the DNPM, which contain more requirements for those companies that operate such dams. A final comment should be made with regard to the social and environmental liability of financial institutions that provide funds for mining and infrastructure projects in general. Although no legal provisions impose such a liability, the general practice is that such institutions are deemed increasingly responsible for the use of funds borrowed by companies – particularly those that use environmental resources and could potentially create a social and environmental footprint. The implementation of a National Monetary Council regulation involving the liability of financial institutions started in 2015. This regulation requires each financial institution to put in place a social and environmental policy. This may result in increasing the possibility of financial institutions facing liability claims in the future. Brazilian legislation does not provide for any tax advantages or incentives to persons engaged in mining activities, or their investors and lenders. As a general comment, Brazilian corporate income tax (IRPJ) is levied at the rate of 15 per cent on taxable profits. A 10 per cent surcharge is levied on the actual profits, presumed profits or profits determined by the tax authorities, in excess of 240,000 reais per year. Taxable profits are ascertained by deducting the operating costs and expenses from the gross income originating from the company's core activity and incidental businesses. Some of these costs and expenses are not deductible because of their nature or the amount involved. There are also provisions for tax exemption once a company's taxable profit has been ascertained. Moreover, Brazilian legal entities are allowed to carry forward losses indefinitely, which is of paramount importance for companies that undertake exploration, development and later mining activities; however, such losses can only offset 30 per cent of taxable profits, which can result in deferral of the utilisation of the losses in the event that the legal entity sustains material losses and profits that are not substantial. In some cases, a legal entity may opt for taxation on presumed profits instead of actual profits. Under the presumed profit regime, the base for IRPJ's calculation is determined by the application of predetermined rates (which may vary depending on the activity carried out), as set out in the applicable law, over revenues derived by the legal entity from the execution of its operational activities. Expenses are not deductible to the Brazilian company when it is taxed under the presumed profit regime and, in order to be taxed under this system, the company's gross income cannot be more than 78 million reais. As a general rule, the income, capital gains and other earnings paid, credited, delivered, employed or remitted by a Brazilian source to a foreign-based individual or legal entity are subject to withholding tax at a general rate of 15 per cent. As from 1 January 2017, the tax rates on capital gains of Brazilian individuals or non-residents (both individuals and companies) are (1) 15 per cent for the part of the gain that does not exceed 5 million reais, (2) 17.5 per cent for the part of the gain that exceeds 5 million reais but does not exceed 10 million reais, (3) 20 per cent for the part of the gain that exceeds 10 million reais but does not exceed 30 million reais, and (4) 22.5 per cent for the part of the gain that exceeds 30 million reais. These rates may reach 25 per cent for income paid to a person residing in a jurisdiction deemed to be a tax haven or privileged tax regime for Brazilian tax purposes (i.e., a country or territory where income is not taxed or subject to taxation at a maximum rate lower than 20 per cent, or does not disclose information about the ownership or beneficial owner of the company's income). As regards countries and regimes aligned with international standards of fiscal transparency, in accordance with rules established by the Brazilian tax authorities (on a par with standards set by the Organisation for Economic Co-operation and Development), the minimum threshold of 20 per cent is decreased to 17 per cent. The social contribution on net profits (CSL) applies to Brazilian companies (including financial institutions) and is calculated on the net profits before the allowance for income tax, adjusted by the additions, exclusions and offsets prescribed by tax law. The CSL rate is 9 per cent and the figures paid are not deductible from the income tax base (actual profits). 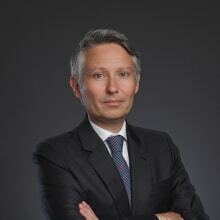 Federal taxes – PIS (Programme of Social Integration) and COFINS (Contribution for the Financing of Social Security) – are levied at the combined rate of 9.25 per cent, assessed over the gross billings of the company. The tax on financial transactions (IOF) is a tax on foreign exchange, securities, credit, gold and insurance transactions. The Minister of Finance sets the rates of the IOF tax, subject to limits set out by law. The IOF/Exchange is currently imposed on a variety of foreign-exchange transactions. Currently, for most exchange transactions, the rate of IOF/Exchange is 0.38 per cent. The tax on distribution of goods and services (ICMS) is a valued added tax levied by the state on the circulation of goods (thus covering the entire chain of trades from the manufacturer to the end consumer) and on the provision of intrastate and interstate transportation and communications services. Normally, the transaction value serves as the ICMS tax base. The ICMS is paid by the trader or provider of carrier or communications services. The ICMS is a non-cumulative tax and, as such, generates a tax credit to be offset by the product or service recipient against the tax payable on future transactions. Each Brazilian state is free to establish its own ICMS rates (generally between 17 and 18 per cent). ICMS tax exemptions, breaks and incentives are granted or cancelled via agreements entered into between Brazilian states; however, states often grant ICMS tax breaks and incentives to attract investment without the approval of other states, generating a 'tax war'. The tax on services (ISS) is assessed on the services provided by a company or independent contractor or professional, in accordance with a list of services attached to a federal supplementary law. ISS is levied by the local municipality at a rate of between 2 per cent and 5 per cent on the service value. Mining activities are subject to a statutory royalty (CFEM),3 which was generally increased in 2017 to up to 4 per cent of the revenue arising from the sale of the mineral product (depending on the substance, in most cases the applicable rate is 2 per cent). The highest rate currently is applicable to iron ore, at 3.5 per cent (although it may be reduced to 2 per cent for marginal projects). The most dramatic change is to the rate for diamonds – an increase from 0.2 per cent to 2 per cent. The rate for gold has increased from 1 per cent to 1.5 per cent. The government also extended the basis for calculating CFEM so as to restrict deductions only to those taxes that are levied on the sale of products. External transportation and insurance costs are no longer deductible, which increases significantly the CFEM payable by those producers that have logistics associated with their mining business. This means that even those producers of substances that did not have their rates increased by the new legislation may experience higher costs, to the extent that some deductions that used to be accepted in the calculation of CFEM are no longer applicable. For those companies that use a mineral substance in their industrial process to create an industrialised product, the statutory royalty will be calculated based on current market prices or a reference price, both to be defined by the ANM. In addition, three states (Minas Gerais, Pará and Amapá) have created inspection fees. A close review of these state fees shows that they are actually proportionate to the mine production and are tantamount to an additional royalty. As a measure to foster regional development, exports and the development of infrastructure, there are a number of tax breaks and incentives that investors should consider. Legislation provides for a reduction of IRPJ for industries that are established in the Amazon region or in the north-east of the country as a measure to industrialise those regions. Exports generally enjoy tax breaks in terms of ICMS and export taxes. Likewise, there are incentives for the import of machinery for which there is no equivalent in the domestic market that will be used in the production of goods for export. Finally, the government has granted tax benefits to infrastructure debentures so as to reduce taxation on the income paid from debentures issued by special purpose companies created to invest in infrastructure projects (logistics, transportation, energy, telecommunications, sanitation or irrigation). Since many mining projects require associated logistics, these tax benefits should be taken into account by investors. 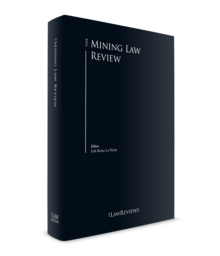 In the fifth edition of The Mining Law Review, we stated that 'any changes to be proposed by [President Temer's] government will not depart significantly from the current system (as opposed to the bill sent to Congress by Ms Rousseff's government). So one can expect reforms to the mining sector that are more market-driven, although conversely there will probably be an increase in mining royalties'. In fact, in July 2017, the President of the Republic enacted three Provisional Measures to amend existing mining legislation. The first Provisional Measure (MP 789) altered the method to calculate the base value of CFEM – from net income to gross income – and changed applicable rates to different minerals. The second Provisional Measure (MP 790) amended around 30 provisions of the Mining Code seeking to modernise and address regulatory inconsistencies. Finally, the third Provisional Measure (MP 791) created the National Mining Agency (ANM) to replace the DNPM. Provisional measures are executive orders with immediate effect but that need to be reviewed by Congress within 120 days. Congress can approve, amend or reject each of the Provisional Measures. The changes to CFEM enacted through MP 789, which were later converted into definitive Law 13,540/2017, did not have any effect on strengthening the mining sector. The increases to the calculation base and in royalty rates (as described above) significantly augmented the government take (particularly for some substances, such as diamonds, gold and iron ore). Moreover, the lack of detailed regulation for the definitions of 'current market price' or 'reference price', which are applicable to those miners that use a mineral substance in their industrial process to create an industrialised product, adds uncertainty and opens the possibility of legal disputes. Although mineral royalties in Brazil may still be low as compared with other large mining countries – as claimed by the government – the overall tax burden of a mining operation in Brazil results in a higher government take compared with other mining jurisdictions, on top of the legal uncertainty that has resulted from inadequate regulations. The amendments to the Mining Code presented by MP 790 would bring some beneficial propositions to the industry, but MP 790 lapsed and lost its validity because it was not reviewed and approved by the National Congress before the applicable deadline. However, some of the amendments that would have been made via MP 790 were contemplated in the new Regulations of the Mining Code, which were enacted in June 2018 and will come into force as soon as the ANM is operational. Among the favourable measures pursuant to the new Regulations is the possibility of continuing exploration after submission of the final exploration report, and the adoption of internationally employed resource and reserve reporting standards are useful measures to deal with the transition from exploration to mining. Further developments on important matters are still required and may come up in the form of regulations to be issued by the ANM, such as measures to facilitate mining finance (which were partly contemplated in the new Regulations to the Mining Code), updating the Mining Cadastre and the registration of liens against title, among others. The new Regulations to the Mining Code have been an important step towards the development of mining, but further steps that could actually benefit the investor and the mining sector are still required. One of these steps is the creation of the ANM to replace DNPM, as provided for in MP 791 (later converted into Law 13,575/2017). By creating a new standard of agency for the mining sector, the government places the mining industry within the same management model that has been applied to the oil and gas, power and telecommunications sectors for two decades. The ANM will have a board made up of five members with fixed terms of office in an attempt to reduce political influence and give higher independence to the regulatory agency. The practice adopted for other regulatory bodies – whereby decisions are made jointly, sessions are public, proposed regulatory changes go through public consultations at which the agency must review and provide its opinions and suggestions, and procedures become more transparent – may bring significant gains for the industry if actually put in place. The key, however, is that the ANM is not just a change of name, but an agency that will be endowed with budgetary funds to implement the new administrative framework and meet the purposes expected from a regulatory body. Creating a new agency with the same low budgets as those of the DNPM may just be an aesthetic measure. At the time of writing, the ANM is not yet operational as the five members of its board (who have been appointed by the President of the Republic) still need to be questioned and approved by the Senate. 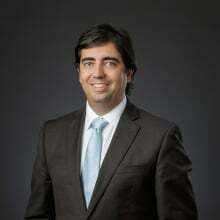 1 Carlos Vilhena is a partner and Adriano Drummond Cançado Trindade is a counsel at Pinheiro Neto Advogados. 2 The Australasian Code for Reporting of Exploration Results, Mineral Resources and Ore Reserves. 3 Financial Compensation for the Exploitation of Mineral Resources.